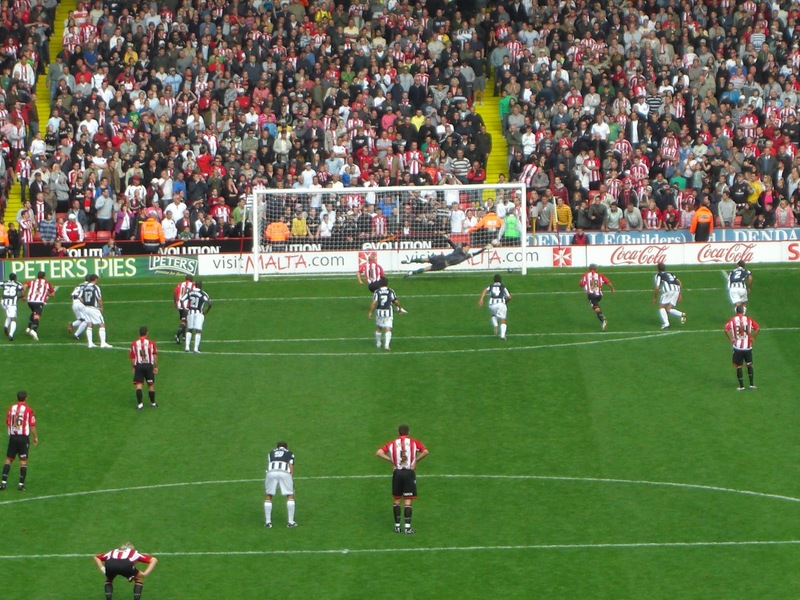 Bramall Lane is located three-quarters of a mile from Sheffield railway station just on the outskirts of the city centre. 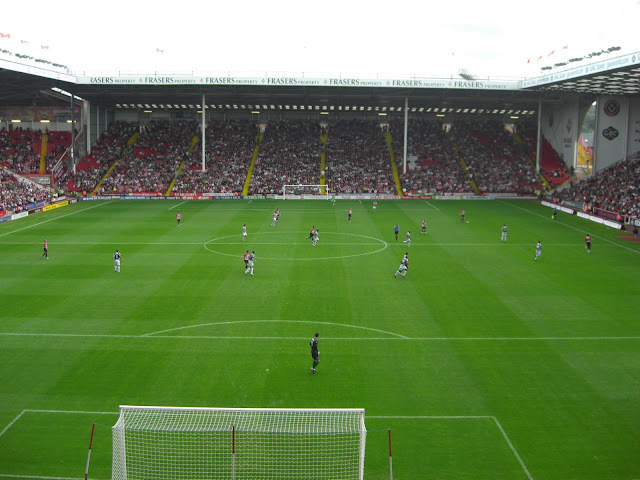 Built in 1855, it has been home to Sheffield United since they were formed in 1889. I have been to Bramall Lane twice, on 11th August 2007 to see Sheffield United draw 2-2 with Colchester United in a Football League Championship match and on 29th August 2009 to see Sheffield United draw 2-2 with West Bromwich Albion, also in a Football League Championship match. The photographs in this post are from the latter. The stadium consists of four main stands and two infill sections in the corners. 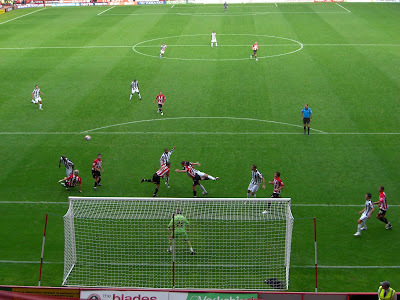 The largest stand is the Kop Stand, behind the goal on the west side of the ground. 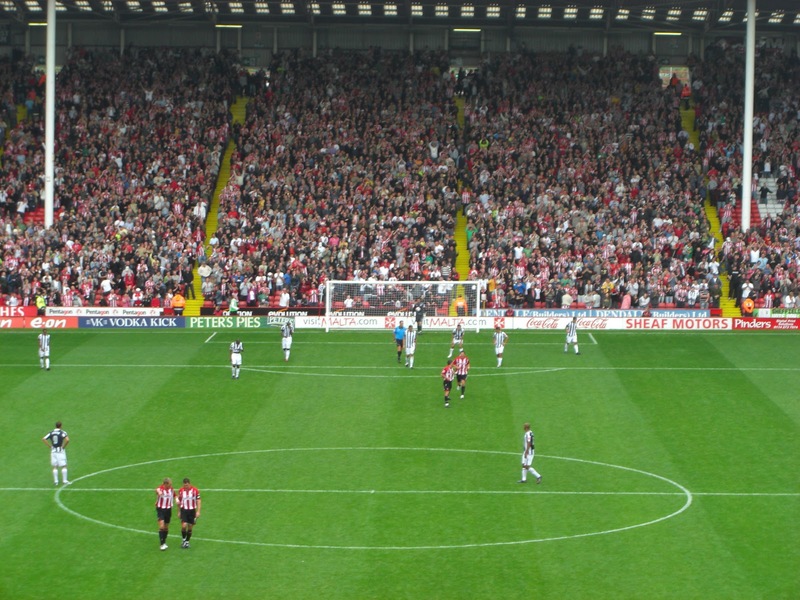 This 10,221 seat structure contains the most vociferous section of Sheffield United fans and the noise generated from this stand while full is substantial. Attached to this stand on the north-west side of the ground is the Kop Corner section which can hold an additional 900 fans. This area also links in with the John Street Stand which runs the length of the pitch on the venue's north side. The John Street Stand seats just under 7,000 fans as well as being home to the executive boxes. The west side of Bramall Lane contains the Bramall Lane Stand, a 5,680 seat two-tiered stand with the lower tier holding away fans. Next to this on the south-west side of the stadium is the other infill section - the Westfield Health Stand. 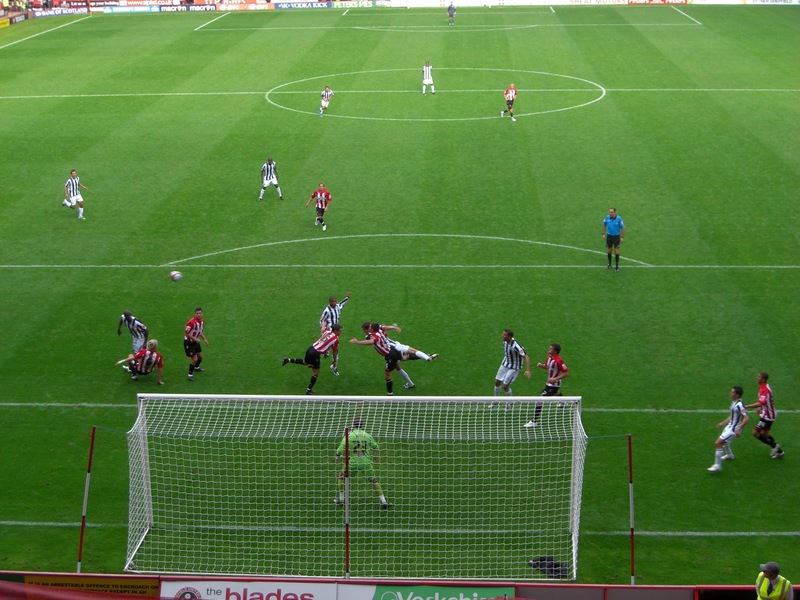 This stand is linked into the upper tier of the Bramall Lane Stand and can hold just under 2,000 fans. The remaining stand is the South Stand, a structure which seats approximately 7,500 fans. This also acts as the club's front of house hosting the box office, Blades Superstore and press facilities. In 2007 the club indicated plans to expand the Kop Stand by 3,500 seats to raise overall capacity to over 36,000. 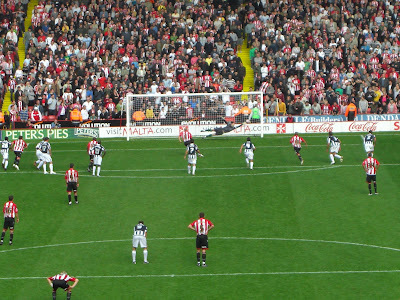 However later that year Sheffield United were relegated from the Premier League and all expansion plans were put on hold until they regained top-flight status. In 2011 the club was relegated further down the league ladder to League One meaning any major chances to the stadium are a long way off.